We should have 5 in stock. Need more? It usually takes us 2 - 4 weeks to bring more in. 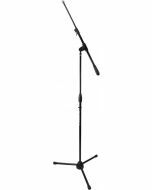 The Pro Series microphone stands from Ultimate Support are designed for the gigging musician, working engineer, and professional venue. 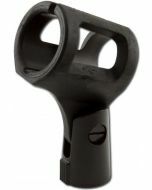 They are the workhorse of the Ultimate Support line of microphone stands featuring field-replaceable parts that are strong and durable, an easy-to-use, comfortable clutch, and a scratch-resistant finish that will not rust. 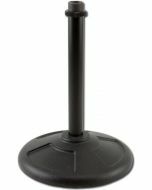 This mic stand has a stackable base which allows up to six of these stands to stack together, saving valuable storage space. 2.25" x 15.5" x 37"